Now that spring is under way, you’re probably thinking about going outside one weekend and giving your yard and house a thorough spring cleaning. 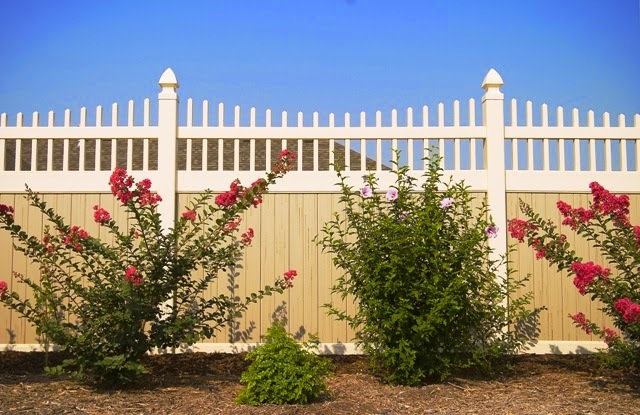 One area that homeowners often neglect, however, is their fence. Cleaning a vinyl fence in Dallas isn’t difficult, but it can help it stay fresh and new-looking throughout the rest of the year. Read on to get some helpful tips for revitalizing your fence and yard this spring from Future Outdoors®. Though it might seem like a big job, cleaning a vinyl fence is actually very simple and painless. Over the winter, wind and ice can cause grime to build up on your fence, and mud and dirt can also accumulate near the bottom due to splashing rain. Fortunately, this grime is very easy to wash off – usually a simple spray with the garden hose is more than enough to clean a vinyl fence. If it’s been a while since you’ve washed yours off, you might want to wipe it down with a soapy cloth or towel (much like you would when you wash your car) or spray it with a power washer. Either way, it shouldn’t take much time or effort to clean your vinyl fence this spring. If you need to scrub your fence down, use a simple, biodegradable soap or cleaner to avoid sickening your grass or garden. Power washers are a great tool to make the cleaning go faster. You can even add cleaning solutions to many power washers to increase their effectiveness. You can use the same strategies to clean vinyl decks and shade structures if they need it! If you don’t have a vinyl fence, you’ll probably need to invest some more time and effort into your spring cleaning. Wooden fences tend to grab and hold onto dirt and moisture, and they deteriorate at a much quicker pace than vinyl. Keeping your wooden fence looking new and clean will take some work. Like a vinyl fence, you can use a pressure washer to remove the worst of the dirt and debris from a wooden fence. However, this is only if your fence is stained and not painted. If you did paint your fence, be wary of using high-pressure cleaning, since it can easily strip the paint right off your fence. Test an inconspicuous area first, and avoid any places where the paint is chipped or peeling. If your wooden fence has mold or mildew on it, you can use a bleach-based cleaning solution to kill the fungus and remove dirt at the same time. You’ll need to scrub the affected areas thoroughly with a stiff brush, and you should be sure to wear gloves to protect your skin. 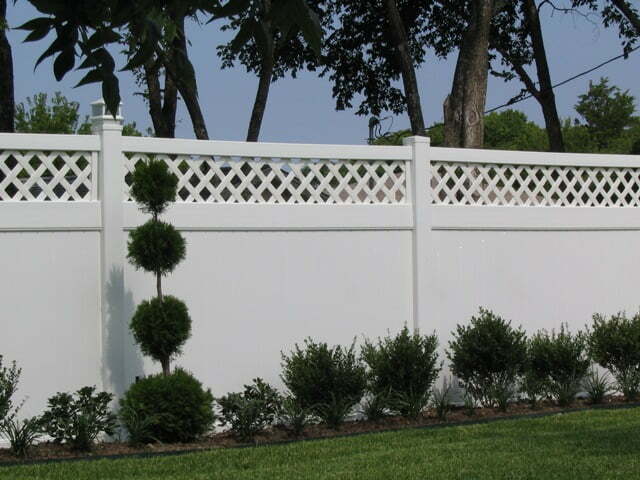 If you pressure-wash your fence, be sure to wait until it’s fully dry to paint, stain, or seal it. Water in the wood can affect the way these substances adhere. If your wood fence is warping or bowing, don’t worry too much – that’s relatively normal for wooden fences more than a few years old. It shouldn’t be too hard to pull off boards or panels and replace them with new ones. Cleaning your fence from the top down prevents sections you’ve already cleaned from getting dirty again. Occasionally you’ll need to do more than clean your fence to get it ready for the next year. Spring is storm season in Texas after all, and high winds, hail, and debris can easily damage your fence. Depending on the type and extent of the damage, you may need to do some significant repairs or even replace your fence entirely. Some homeowners choose to go the DIY route, and there are a few benefits to that choice. First, you can save money over hiring a contractor by doing the labor yourself – but remember that contractors often do the same work with better quality and in less time. Also, doing your own fencing is a good way to get exactly the project that you want, assuming you’re skilled enough to create it. For most homeowners, though, fencing isn’t a DIY project. In that case, you should call an experienced Dallas-area vinyl fence contractor such as our team at Future Outdoors®. We can repair or replace any vinyl or wooden fence, and we’ll also help you choose the exact style and color to meet your needs and match your home. Call (972) 576-1600 to schedule your free estimate or visit our Facebook and Twitter pages for more information and tips.